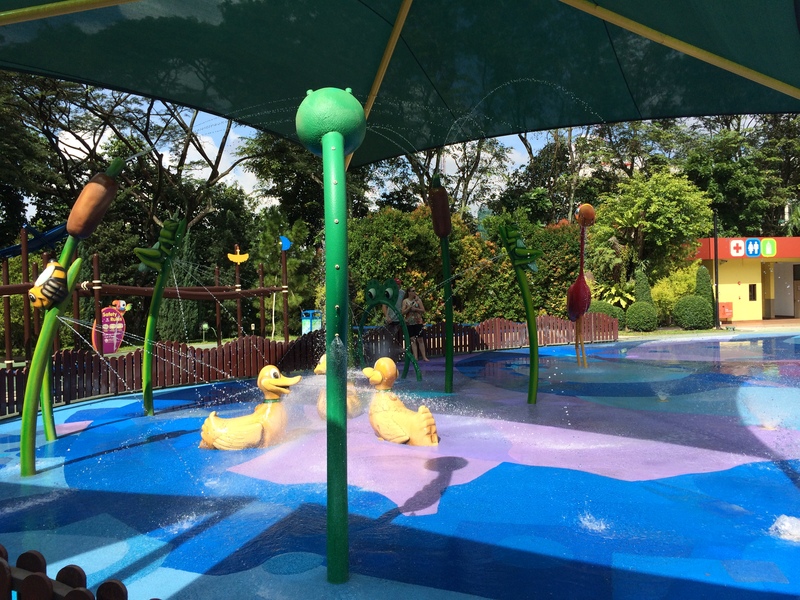 At the kids area at the Jurong Bird Park, there is a playground and a water-play area. At the same zone you can find the nursing room and outdoor shower areas. 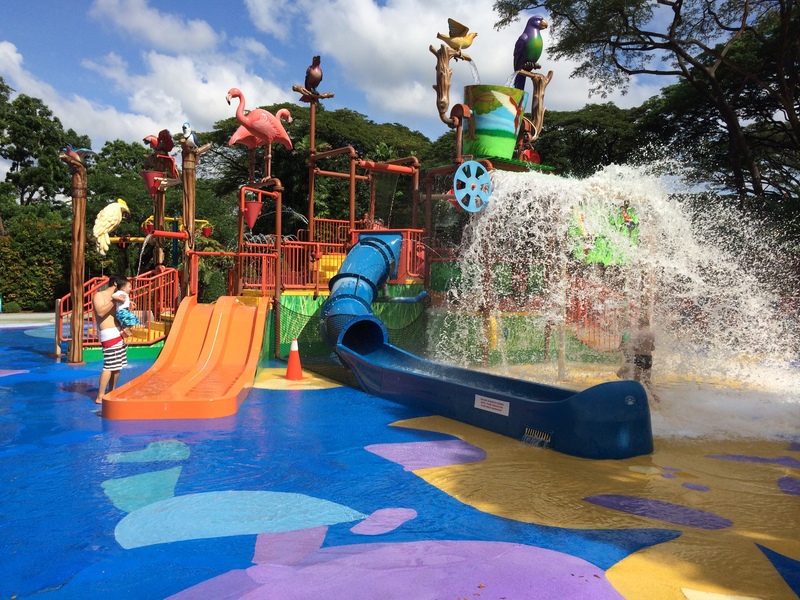 As with the zoo, this is a good place for families to take a break from the heat and the walking and spend some time playing in the water. Here is the dry zone. 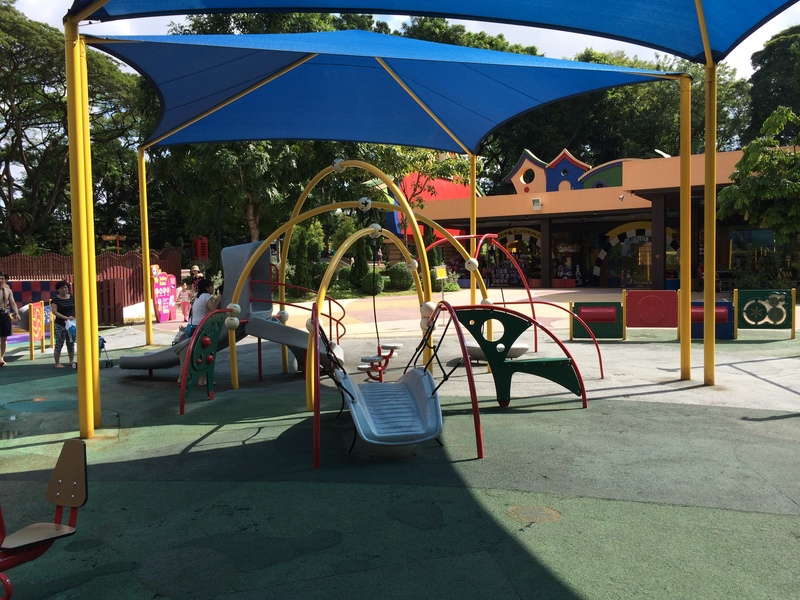 Most kids are attracted to the wet zone. Whats new right? ;) It is not as crowded here as compared to the zoo’s water play area. 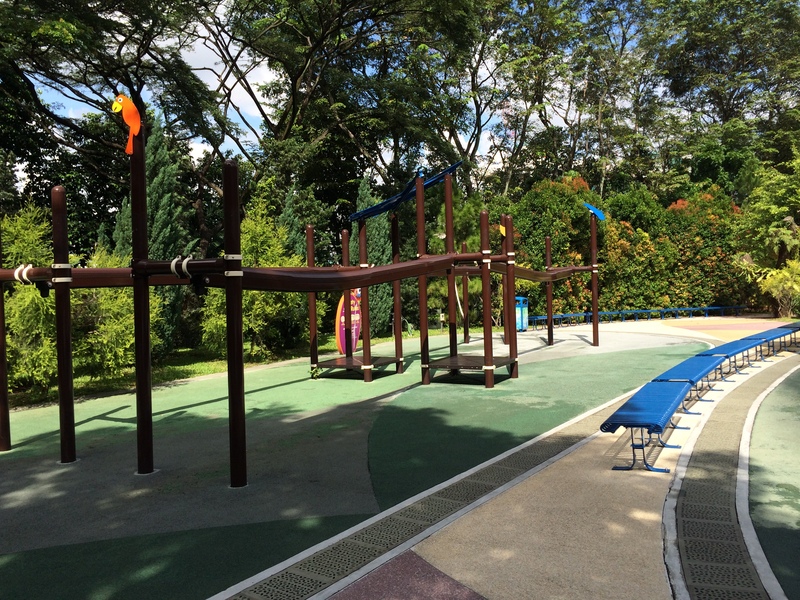 There is also a smaller area suitable for toddlers. And from the picture, you can see that the changing area and toilets are within the same area.